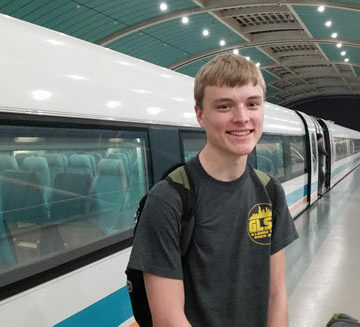 Nathan stands in front of the Shanghai Maglev train. I never would have believed that a simple dream would lead me to Shanghai, halfway around the world. Throughout my trip to Shanghai, I will write a series of blog posts, in order to share my experiences on the trip with you. 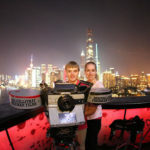 After many hours of flying, I arrived to what is most certainly the largest city I have ever been to, Shanghai, China. 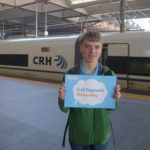 One of the world’s fastest trains, the Shanghai Maglev, whisked me from the airport to downtown at speeds of 300 kilometers an hour – or 186 mph. The train itself has no wheels, and instead floats above the track via a bed of magnets. This made for a very smooth ride, and the 30-kilometer journey took just over seven minutes to complete. The next day, it was time to get my bearings in the city. 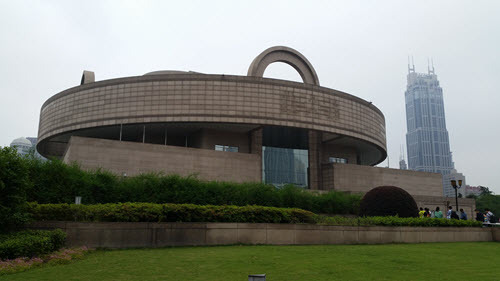 I headed for the Shanghai Museum, and learned much about the history of the city, as well as the history of China. I saw collections of jade figurines, bronze sculptures, and traditional Chinese furniture and clothing, among many other things. The most interesting collection was of Chinese currency throughout time. Coins and notes in all shapes and sizes were on display, as well as the molds and presses used to produce them. There were coins smaller than pea pods, as well as some coins larger than my hand! The exterior of the Shanghai Museum. 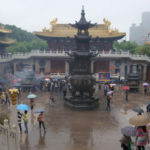 After the Shanghai Museum, I explored the surrounding People’s Square, which is to Shanghai as Central Park is to New York City. Many of the major museums and shops are near the People’s Square, and underneath it is one of the largest Metro stations in the city. The Shanghai Metro is truly a marvel of modern civil engineering. It is one of the largest Metro systems in the world, and also one of the youngest, beginning service in 1993. 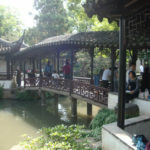 Tomorrow I will journey to Suzhou by bullet train to explore the canals and gardens that make the city famous. Often called Venice of the East, it’s sure to be a remarkable experience. There’s something interesting around just about every corner in Shanghai, and I hope to see as much of it as possible while I am here.